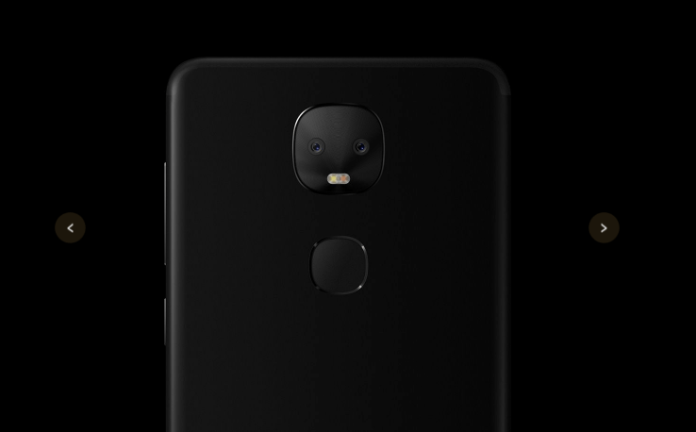 LeEco Le Pro 3 AI Edition Release Date, Price, Specs, Features, News: LeEco has launched its new smartphone named Le Pro3 AI Edition. The most interesting fact about the mobile is that it is coming with the robotic face dual cameras on the rear. As we know, information about smartphone has leaked a couple of times. Now, it is officially launched in China in April 2017. This new phone has been launched in two variants named ‘Standard’ and ‘Eco’ and latter one will be a higher-end version. The company is launching it in gold, rose gold, and black colors. The Le Pro3 AI ‘Standard’ variant costs 1,799 CNY (approximately Rs 18,500) and the ‘Eco’ variant is priced at CNY 2,699 (approximately Rs 24,999). The main attraction of this new edition is the built-in Al assistant viz. LeLe. LeLe is designed in a way to so that it can learn from user’s usage pattern and give suggestion and fast access to an app. This will also help in other functionality of the smartphone. If the screen is off, then also this built-in assistant is integrated to the all other apps due to LeEco suite. Check: Microsoft Surface Phone Release Date. The new device is coming with the 5.5-Inch Full HD 1920 X 1080p display. Talking about the camera, it will have 13 MP + 13 MP dual rear cameras (one monochrome & one color) with other useful features like f/2.0 aperture, face detection autofocus, and dual-LED flash. Slow motion capture is also possible in this at 720p/120 fps. The 4K recording is supported at 30 fps. The front camera will be of 8MP shooter f/2.2 aperture, 1.4um pixel size and also a 76.5-degree field of view. The standard variant of Le Pro 3 AIEdition will have 4 GB RAM and 32 GB internal storage by MediaTek Helio X23 chipset. On the other hand, ‘Eco’ have an improvement on its processor with Helio X27 SoC and same gigs of RAM. The eco variant will also have double storage capacity comparative to “standard” with storage house of 64 GB. The dimension of the smartphone are 52.4 x 75.1 x 7.5mm and its weight is 168 grams. As far as the battery capacity is concerned both devices will have 4000 mAh battery with Android Marshmellow underneath LeEco’s EUI. It will give competition to the Moto G5 Plus which was launched recently. Because Moto is also offering features like dual camera setup on the back and carries a similar price tag. But Le Pro 3AI will have to survive in competition from the Motorola, Huawei, and others. It will interesting to see this battle. Stay tuned to The Reporter Times for latest mobile phone news and tech updates around the world.